The new Lviv Fashion Week season will take place on March 22-25 in Lviv. 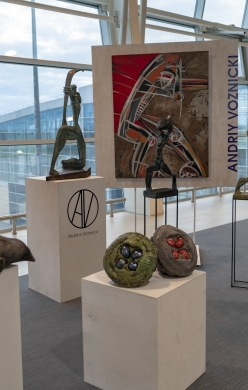 Shows of the ХХІth season will cover 4 days, and the main platform of Lviv Danylo Halytskyi International Airport will be involved for 3 days. 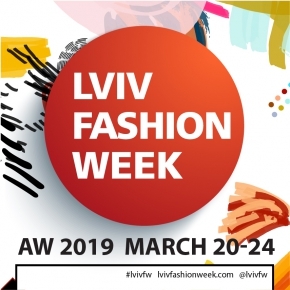 Lviv Fashion Week will start on March 22 with ArtSpace project, shows and presentations of young designers, which will be held in the art space of “Lvivarnia” Museum and Cultural Complex. ArtSpace involves the projects of young artists at the intersection of art and fashion. Video art, art photography exhibition, installation, collaboration, performance, pictorial art - all these visual practices will help to raise the conversation about one of the most important and most interesting topics - a human being. ArtSpace will include "Perfect Illusion" of Borys Havryliuk and Olena Lazhnevska (performance, exhibition of paintings, photo shoot), “10 meters” project of Oleh Havryliv and Maksym Skvortsov (installation, performance), “Untitled” exhibition of fashion photography (Ihor Stepanyk, Yuliia Kuzmovych), "Chameleon" media-art of Daria Tyshchenko-Zhuravel. Lviv Fashion Week traditionally promotes young designers - their shows will be held within the main program at Lviv International Airport and in the format of presentations at Lvivarnya art center. New collections will be presented by Kristina Prokopiv, Olena Levynska, Muzyka&Sas ateliers, THE LACE, TWINS design. The speciality of this season will be the updated line-up of designers: the majority of the participants will present their collections at Lviv Fashion Week for the first time. In the main program the Ukrainian designers dominate - Autumn/Winter 2018 collections will be demonstrated by Vozianov, Kateryna Karol, Couture de Fleur, Ivanna Yukhymchuk, J. Perekriostova. The AW 2018 collection show of Vozianov brand, whose premier collections are usually presented in Kyiv, will be held in Lviv for the first time. The shows of DIYA, Zahara, Bunt, Polish brands Eklectic, K&M will debut at Lviv Fashion Week. This spring the participants of Lviv Fashion Week will be Italian brands A-LAB Milano and Piccione Piccione, which usually present collections within the framework of fashion week in Milan. Among the international guests of Lviv Fashion Week there will be journalists, photographers and buyers from Italy, Germany, Poland, and the USA. The main schedule of shows and presentations for Autumn/Winter 2018 will be complemented by the educational program and the showroom. The expanded educational program includes lectures and discussions that will be held at the Design House on March 24-25. The new Fashion-dialogues, a project that aims to unite fashion industry workers in informal communication and productive discussions, this time will be dedicated to the topic "Non-standard use of social networks for marketing purposes", moderator - Lilia Sushko. The lecture program will include lectures under the topics "Design Management: How to Build a Business in the Creative Industries" (Iryna Golovchak, CREATIVE design school), "How to create your own brand in the fashion industry. Brand development. The concept as the basis of business" (Eleonora Nechyporenko, Designers.ua), "Art vs. Fashion" (Maria Ivasenko, Educational Center “Fast Fashion Education”). Fedir Vozianov will deliver a lecture "Fashion as Media" at the main location in Lviv International Airport on March 23. 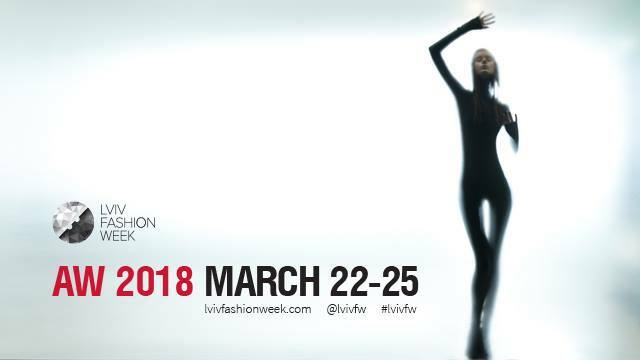 Lviv Fashion Week showroom, in which nearly 30 Ukrainian brands take part, will be held at the main venue in Lviv International Airport on March 23-25.